Alizarina was invited, along with 9 other designers and studios from Milan and San Francisco, to take part in High Up. Graphic design around town, a project curated by Marina Pugliese and Geoff Kaplan for the Italian Cultural Institute and the California College of the Arts, in partnership with the San Francisco Design Week and the Municipality of Milan. 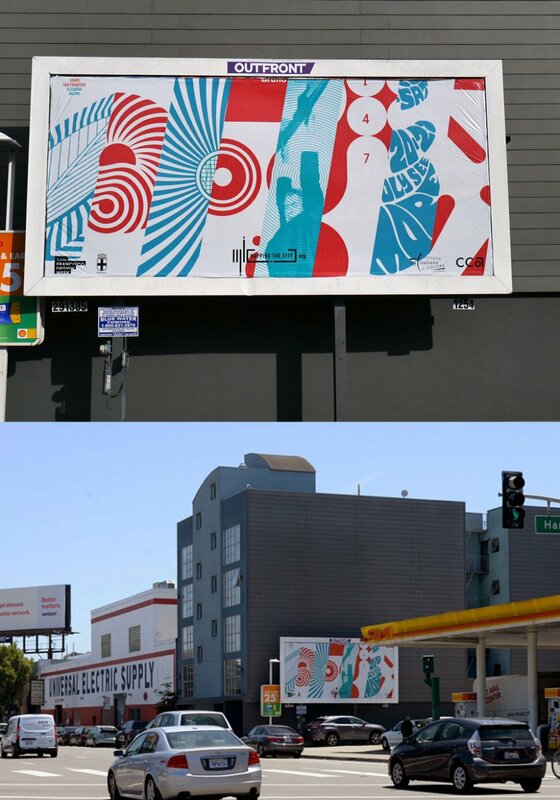 Alizarina worked along with Jon Sueda (Stripe SF, with Chris Hamamoto) on a collective image inspired by visual elements taken sourced from the two cities, creating a formal “landscape” including graphic design, film, and music. 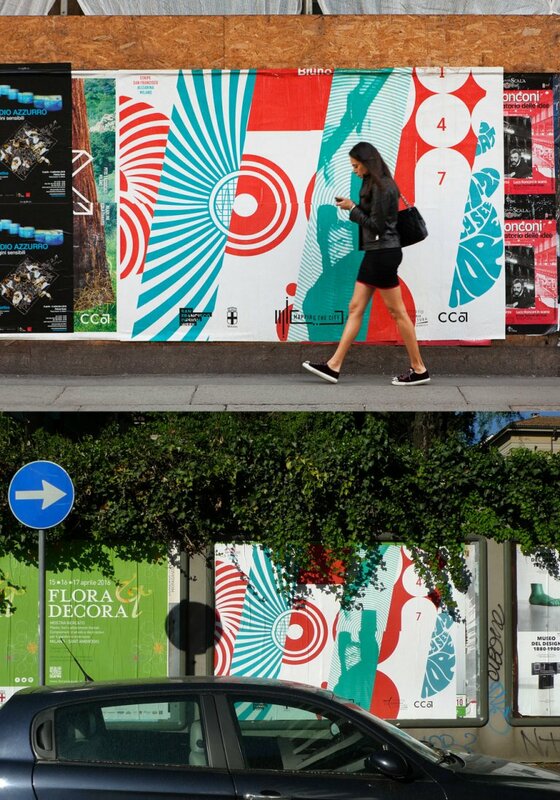 The billboards were posted in various locations in Milan during the Design Week (April 2016) and in the streets of San Francisco (May-June 2016). During SF Design Week (June 2-9), they were exhibited (in a smaller scale) in the atrium gallery of the CCA Hooper Graduate Center.